Has your baby or toddler suddenly begun waking frequently in the night—as frequently as every 30-45 minutes? This phenomenon can be baffling to parents who are used to their children sleeping more soundly at night, and we certainly understand the concern. Here are some reasons why it may be happening. 1. Ear infections - You may be surprised to learn that ear infections are one of the top reasons for sudden, frequent night wakings. “But she’s not pulling her ears,” you might say, or “he doesn’t have a fever.” It also may be that your baby is sleeping fine during naptime, and it’s only at night that she has trouble. All of this doesn’t mean an ear infection isn’t the culprit: nighttime sleep disruption is often the only symptom a child with an ear infection may experience. So if this is happening to your child, go get his ears checked. 2. Acid Reflux, or GERD - If your baby is waking frequently throughout the night, he could have GERD, or gastroesophageal reflux disease. GERD causes an upward movement of stomach content, including acid, into the esophagus and sometimes mouth that can sometimes, but not always, result in vomiting. If you suspect your baby may be suffering from GERD, it’s best to speak with her pediatrician to discuss ways to manage your baby’s symptoms. 3. 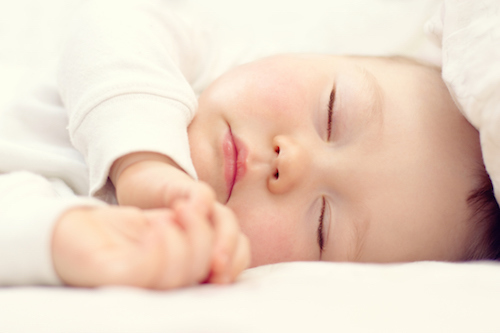 Other illnesses - When a baby or toddler who normally sleeps soundly is waking frequent at night, it’s typically a sign that something’s not right internally. Even if he has no other symptoms, it would be beneficial to both of you to get him checked out by a pediatrician. Then when you know the cause, and follow your doctor’s recommendations to help your baby get the healing rest he needs while ill.
And don’t worry about your child’s sleep schedule while they’re sick. You can get back on track with sleep once he’s feeling well again!